Dave Hanron - The Business Outsource Guy: Buttons, Buttons, & More Buttons --Where Does It Stop? Very informative and comprehensive Dave! Thanks for sharing. 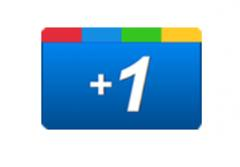 It will be interesting to see how the Google +1 will do against the "button establishment." It may get to the point that all these buttons will be information overload. Nobody likes there bottons pushed! These butons have become a good marketing device,but if averyone has a button they will loos there efectivenes and be awash with the others. Just some thoughts. Good information Dave. Thanks for the comment Jerry. Information overload is something we all need to be aware of. If we're not careful, we'll put so much info out to the public, that it will start to get tuned out. Take Twitter for example. It is one of the most popular social sites in the world, but let's be serious. Once a person begins following more than a few hundred people, are they really able to effectively follow their "tweets"? I think not. The info buttons are heading in the same direction. Grandad, what's a business? This is a simple question but like many simple questions the answer is a bit more complicated than you might expect. Complicated but easy to understand if you let Grandad explain.